WATERFRONT - One of the better more beautiful views in the community for you to enjoy from your living room with full picutre window or dining area peering out the slider to your deck and outdoor dining space. Fresh, clean and inviting home offers carefree living at the Lake. Updated laminate wood floors, open floor plan and picture window let the sun shine in. Walk off your deck close to the private picnic, beach and kayak area. 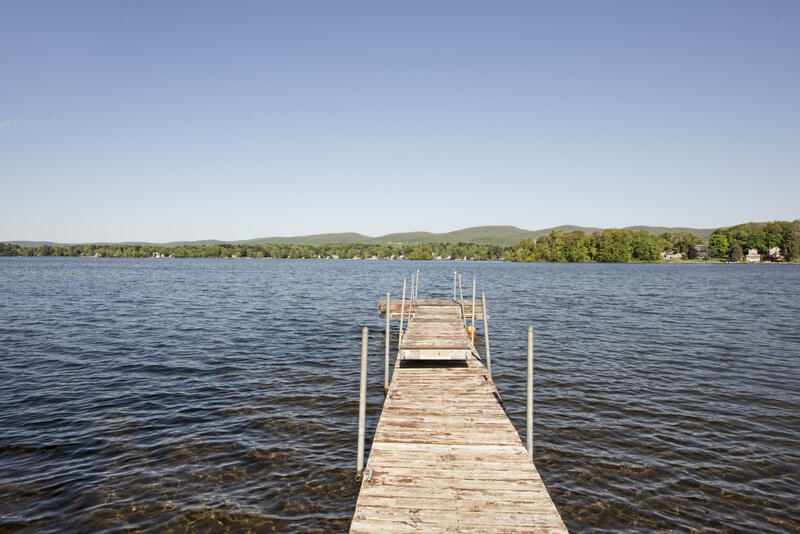 Enjoy the dock and lakefront living so affordably. Centrally located in the Berkshires to enjoy Tanglewood, Berkshire Theatre Festival, Beacon Cinema and wonderful dining just minutes away in the Cultural Art District in Downtown Pittsfield. You can have it all.